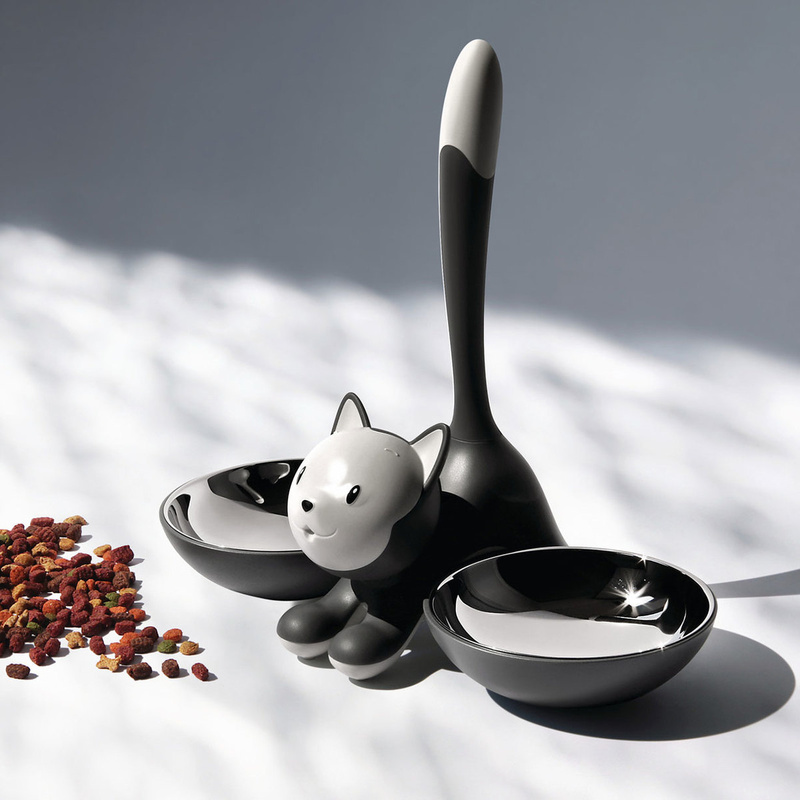 Cat bowl in 18/10 stainless steel and PP, available in various colour options. A formal language, loaded with references to affectiveness and Miriam Mirri's 'Children Code', is here used to create an object for our four-legged friends. Italian designer, she was born in Bologna. She lives and works in Milan where since 2010 her office is based. She graduated from the Scuola Superiore Disegno Anatomico and studied design and communication at the Università del Progetto. Then, she moved to London, where she worked as designer at the Branson-Coates Architecture Office. She collaborated with several design companies both in Italy and abroad where she developed graphics and publishing projects, besides industrial products for important italian companies. 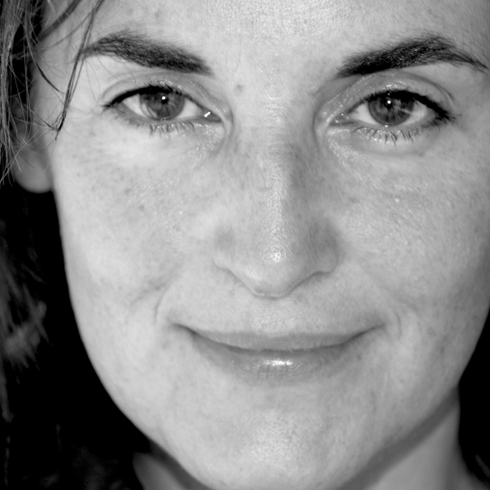 She has settled in Milan since 1993; she worked with Stefano Giovannoni until 1999. 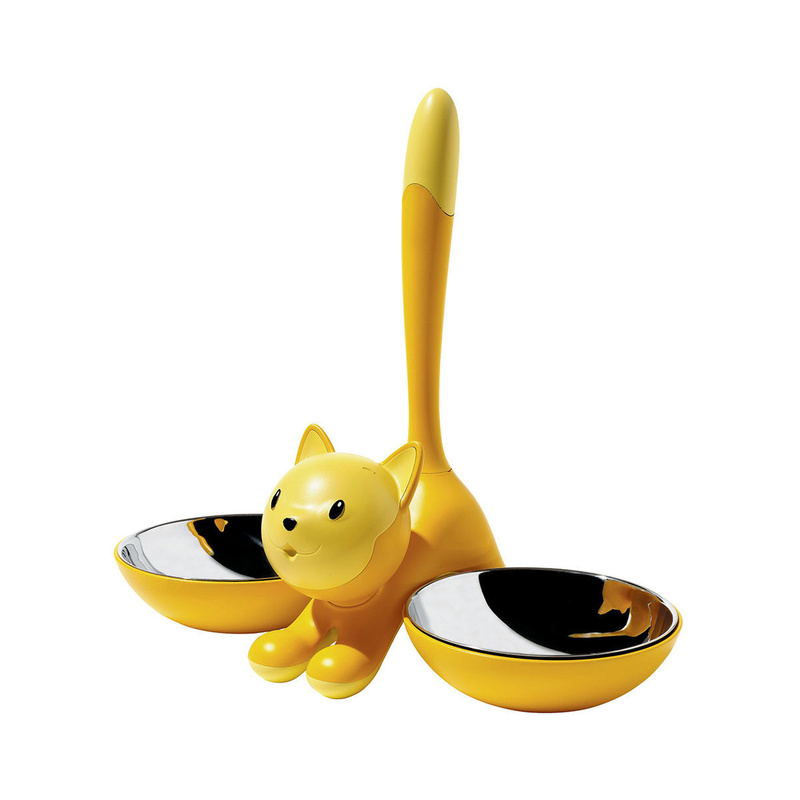 In 2000 she began her freelance designer activity; she designed houseware, pets accessories, day and night objects, watches, complements and furniture collaborating among others, with Alessi, MandarinaDuck, Henkel, Seiko, Häagen-Dazs, Bysteel, Meritalia, Bassetti, Gruppo Coin, Euro3Plast, UnitedPets. In the 2006 she wins with the project-team the prize "Fritz Henkel Award for Innovation". She took part in national and international exhibitions such as Triennale Design Museum in various editions; The New Italian Design, Triennale di Milano; D come Design. La mano la mente il cuore. Some of her works are included in the International Design Yearbook 2005. She has held design-workshop at the Università del Progetto and at the Domus Academy in Milan and presented her works at some design master course. 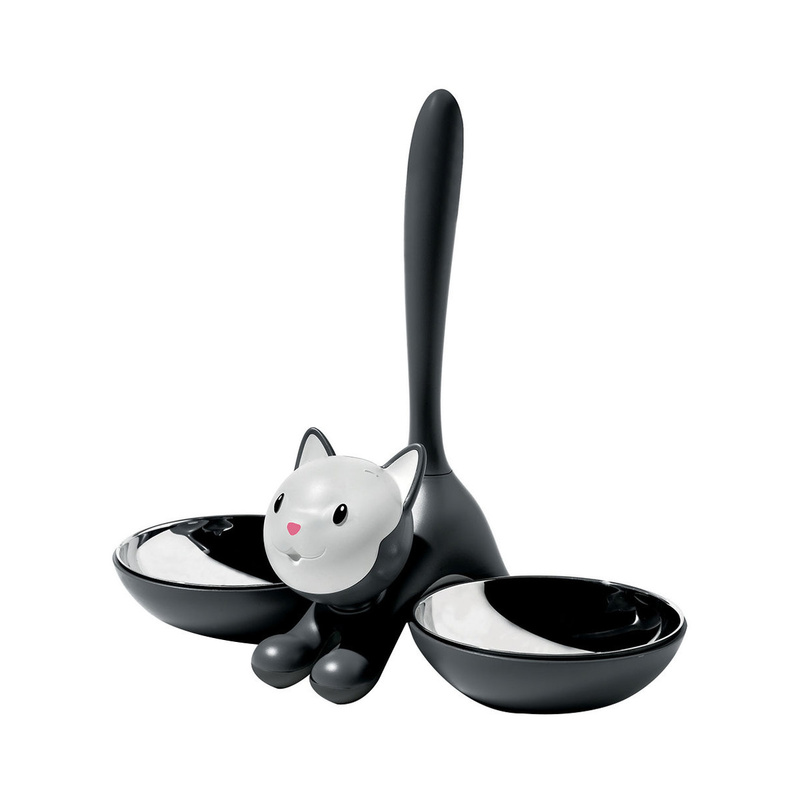 Founded in 1921, Alessi has always stood out for the high quality of its products. In almost a century of history, the company has gradually evolved to become one of the leading "Factories of Italian design", capable of applying its expertise and excellence in design management to many different product types.